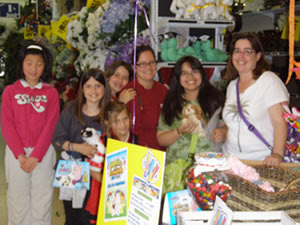 Thanks to all who participated this past weekend in our Webkinz Extravagana! It was a great success, and certainly seems that everyone had a terrific time. 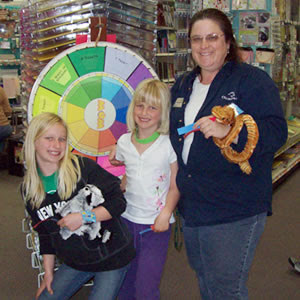 Haley, Amelia and Mom from our Monterey store! 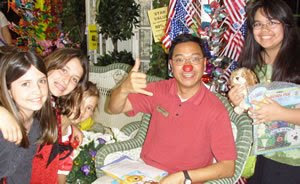 fun at our Alameda store! I love you guys but this Webkinz thing was a bust. The giveaway happened when kids were in school. The games happened in a 30 minute window that was so small we missed both. We wanted to have fun - we came by twice - but there was no "extravaganza" going on. It was just business as usual. Bummer.